Adds waterproof, color screen, and remote meter bolus. Will it speed FDA review of the 670G hybrid closed loop? Earlier this month, Medtronic unexpectedly announced FDA approval of the MiniMed 630G. 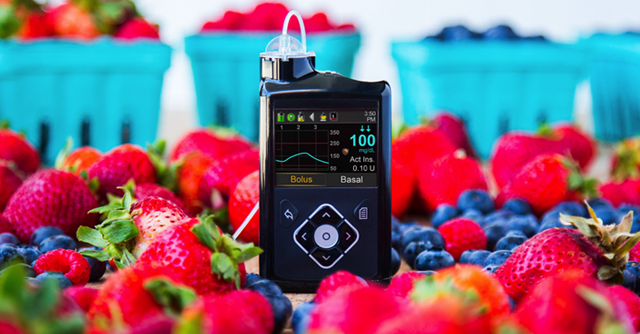 This pump offers the same threshold (low glucose) suspend algorithm as the MiniMed 530G with Enlite, but on the company’s next-gen pump platform – adding a color screen, waterproofing, remote bolusing from the Contour Next Link glucose meter, more alarm customization, insulin on board displayed on the home screen, and other key improvements listed in the table below. The pump is approved for people 16 years and up and will begin shipping in September. Medtronic has more information posted on its website. There was a lot of confusion in the diabetes community about this product and why it is launching, so some common questions are answered below. Can current Medtronic pumpers upgrade to the 630G? Yes, but it is pricey and not covered by insurance if the pump being upgraded is less than four years old. The out of pocket cost to upgrade to the 630G is $599 for Medtronic pumps purchased after May 1, 2016 and $3,100 for pumps purchased before May 1, 2016 (assuming the old pump is sent in to Medtronic). Current MiniMed 530G/Enlite users who want the 630G’s Enlite CGM integration will also need to buy a new transmitter for $511. How does this compare to the 640G (predictive low glucose suspend) available in Europe and the MiniMed 670G (hybrid closed loop) under FDA review? 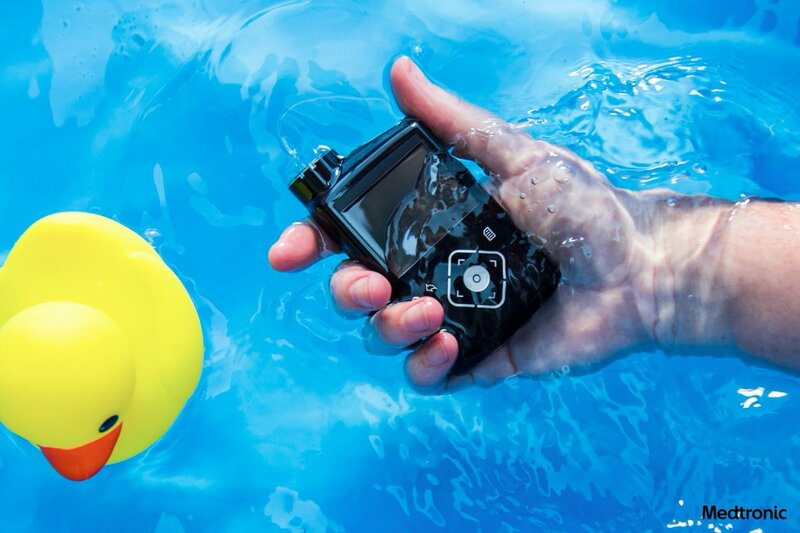 The MiniMed 630G is the same pump platform as the 640G and 670G, meaning it has the same overall pump body design, waterproofing, screen, buttons, etc. However, the 630G has the simplest control algorithm in it: suspending basal insulin delivery when the low threshold is crossed, identical to the MiniMed 530G/Enlite. As a reminder, the 640G predictively suspends basal insulin delivery before a low is reached, and the 670G adds an increase in basal insulin when blood sugar is high. Why is Medtronic launching the 630G instead of waiting for the better 640G or 670G? The 630G’s surprising release may help accelerate the approval process of the 670G, which was submitted to the FDA in June (launch expected by April 2017). Now that the new pump platform is approved in the 630G, there are fewer question marks with the 670G. Additionally, the 630G does have some important design advantages over the 530G (see below), meaning patients will get access to a better product sooner than the 670G is available. Can the MiniMed 630G be software updated at home to add the 670G hybrid closed loop algorithm? No. However, Medtronic said another upgrade program will be available once the 670G is approved, allowing all users (including those on the new 630G) to get on the 670G. It is assumed there will be some out of pocket cost, but the company could not share any details. Does the MiniMed 630G have a better CGM sensor? No, it uses the same Enlite sensor that is available in the MiniMed 530G, although Medtronic made manufacturing updates aimed at improving the performance of the sensor. Their new One-Press Serter is also being offered to make insertion easier and more comfortable. Medtronic’s next-gen Enlite 3 sensor is currently under FDA review with Guardian Connect (a standalone mobile CGM, like Dexcom’s G5) and the 670G hybrid closed loop. We would guess that once the 670G/Enlite 3 is approved, 630G users will be able to start using the improved sensor. Does the MiniMed 630G work with MiniMed Connect? No, Medtronic has changed the CGM transmitter communication in the 630G for greater reliability. Unfortunately, it is not compatible with the MiniMed Connect keychain remote monitoring device. Those who want pump and CGM remote monitoring should get the 530G for now. See previous diaTribe coverage for an up-close look at the new pump platform via the 640G in Europe.